Stones | Pictures without film. Well my first photo is of a barrow near the stone circle, the Druids circle near Penmaenmawr. These places must have been a place of remembrance for the ancient people of this land, and perhaps to a place of rebirth. 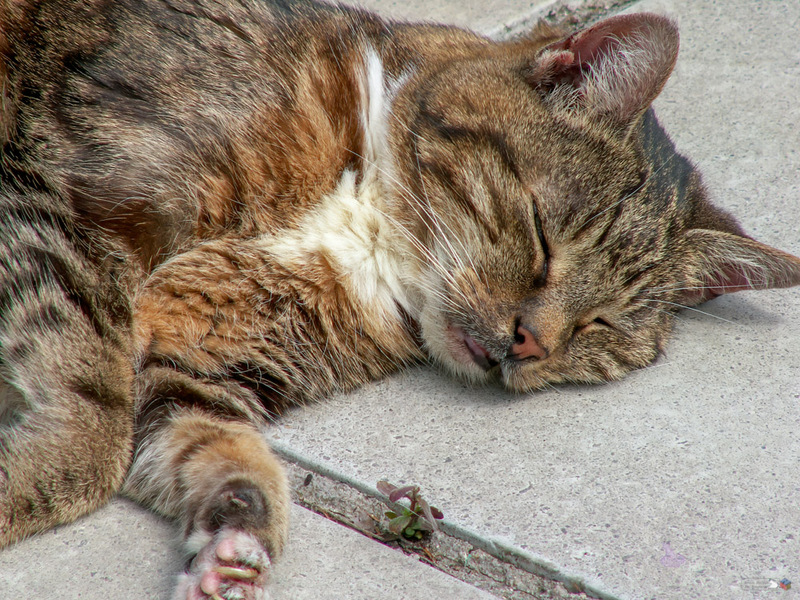 And for my second photo, a picture of our lovely cat Darkle snoozing in the sun, she lived a long life, and is missed and remembered fondly. Well I had to use a stone circle, you would expect it of me I am sure. 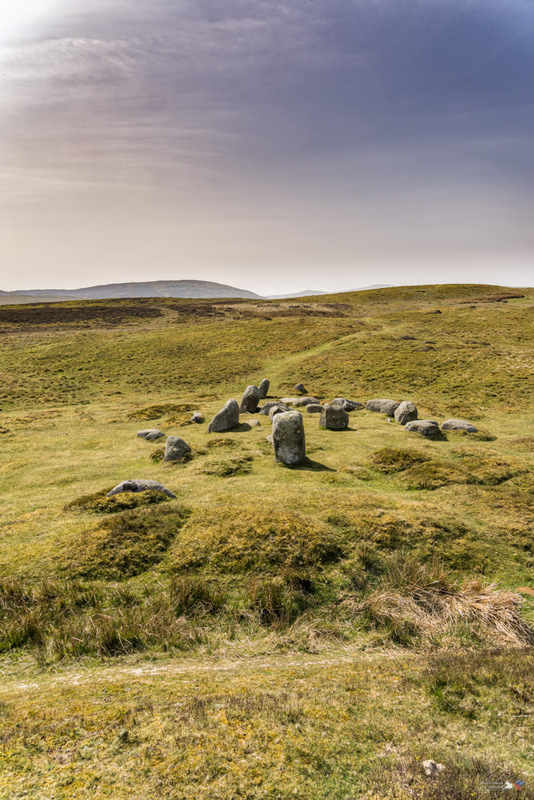 So another favorite circle, the Merry Maidens in Cornwall. ‘Dancing’, Merry Maidens, Cornwall, 2018. ‘Under a heavy sky’, Torhouskie Stone Circle, Newton Stewart, 2018. And then just to prove I can get more than one circle in a photo at one time. ‘More than you can shake a stick at’, Stott Park Bobbin Mill, Cumbria, 2017. Welcome to One Word Sunday, and over to all of you to join the challenge with your own row post. I thought I would use another ancient monument this week, no surprises there I hear some of you shout! I don’t think I have used this location for a challenge before though, and it seemed very fitting for this one. On Dartmoor there are many stone rows, this one is part of the ‘Merrivale complex‘ of ancient sites. It is a double row, for an added bonus for this weeks challenge I feel. ‘Moor lines’, Merrivale stone rows, Dartmoor, 2015. This week Cee challenges us with the topic ‘Looks Like a Face’. I always think that this profile of Long Meg looks like a face, in fact I think she would be rather at home in an episode of the Simpsons! ‘Meg’s smile’, Long Meg and her daughters, Cumbria, 2017.
and over to all of you to join the challenge with your own circle post. Well so many circles to choose from, but in the end, well I suppose from me you have to expect this. The photo is of the Men-an-tol, I probably do not need to explain why I have chosen to use these ancient stones to represent ‘circle’. 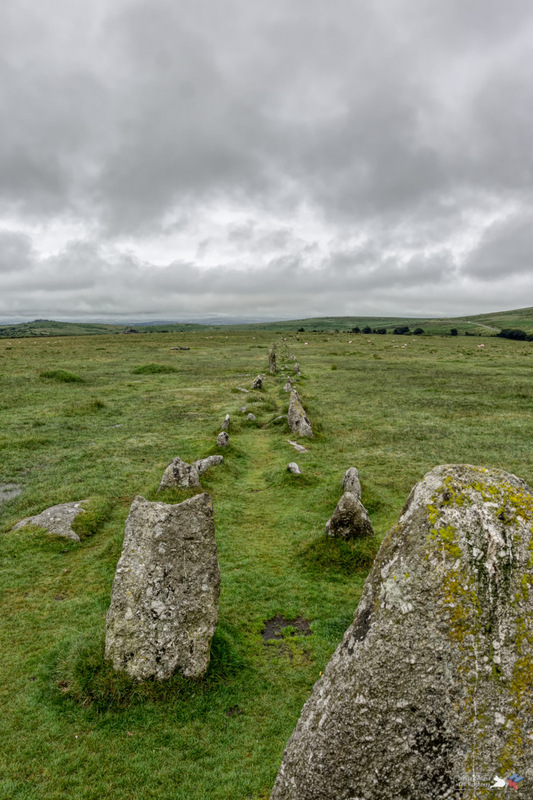 ‘Holed stone’, Men-an-tol, Cornwall, 2014. Cosmic Castlerigg – K’lee and Dale’s Cosmic Photo Challenge – In the realm of the otherworldly. In the realm of the otherworldly. So most of you by now know how fond I am of visiting ancient sites, stone circles in particular. 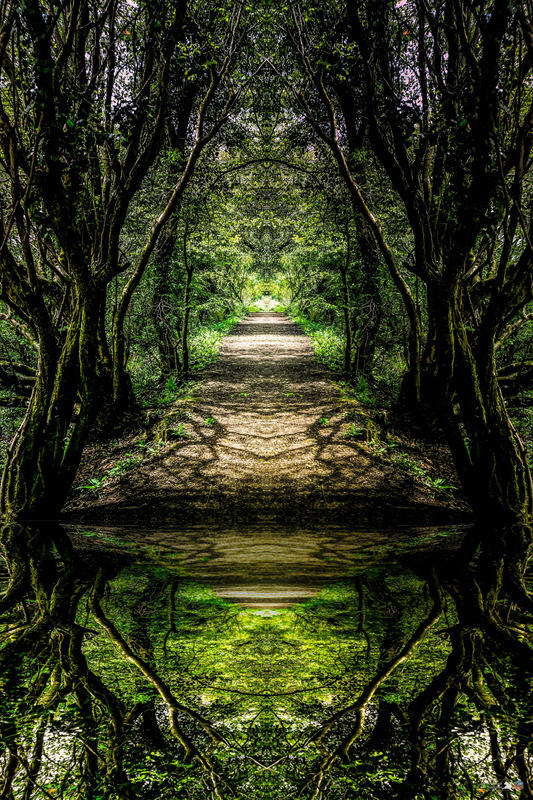 So I thought I would treat you to a cosmic circle, given they are otherworldly places, and maybe even gateways to the otherworld. And because woodlands are otherworldly spaces. ‘Under the boughs’, Brynna woods, 2015. Anyway here is this week’s challenge and it is Landscape. Your landscape can be of anything, mountains, fields, even a landscape of a field of flowers or crops. Or it can be of anything in landscape format. The interpretation of Landscape is entirely up to you. I am still in the process of editing some of last years photos of our trip to the Lake district with friends. 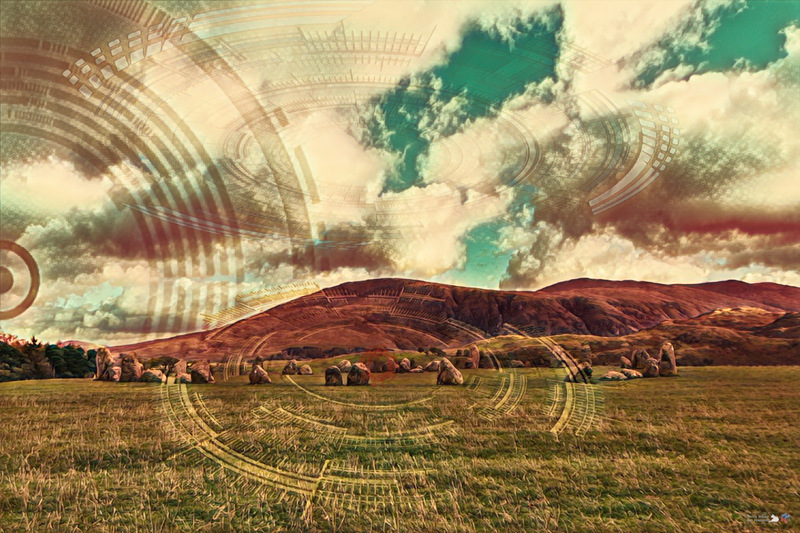 So here is a photo of Castlerigg stone circle and the magnificent surrounding landscape. ‘Castlerigg sun rays’, Cumbria, 2018. Each week at XingfuMama we are asked to ‘Pull up a seat’. I am slowly working my way through old shots so here is another taken on the little 2MP Minolta Dimage Z3. This time we are in the beer garden at the ‘Druids arms’ near ‘Stanton Drew stone circle’. 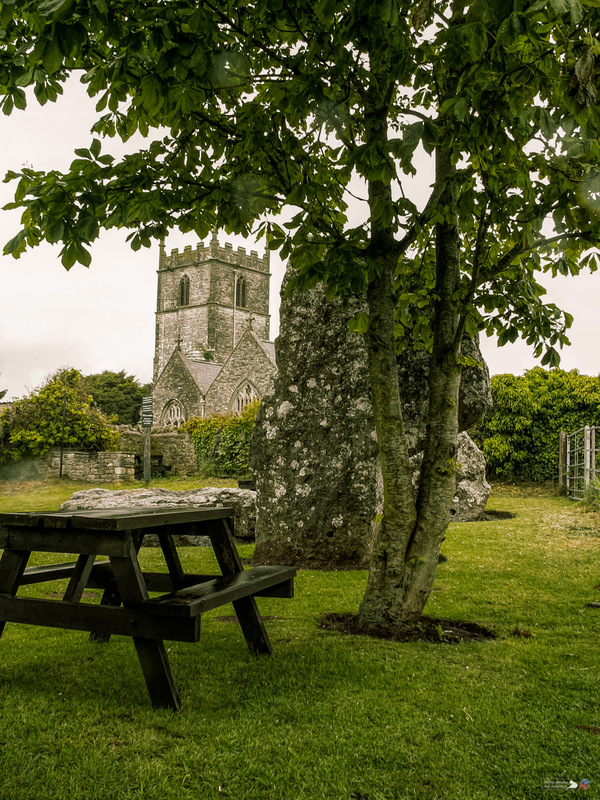 Ancient stones and a Christian church are available in one view as you eat your pub lunch at the picnic bench, although it was raining so we actually ate inside. This week Cee challenges us with the topic ‘Made by Humans’. Well I thought I would have to use a picture of a stone circle, and what better to use than Stonehenge, not my personal favorite circle, but such an enigma, just how was it built by humans? ‘Walking at Stonehenge’, Stonehenge, 2017.